Faerie Secret formed by accumulated ectoplasm gathered is the special and most adequate ectoplasm zone that is able to break out every rule in the world, in which not only practice more quickly, but have so many treasure.Every faerie secret time close, thousands of masters try their best to find the gate of faerie secret and enter. 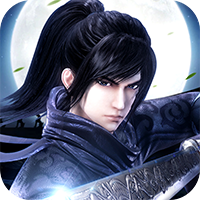 Kingdom Zhao, Exotic Battlefield, Endless Evilsea’s Field, Kingdom Zhao's Field, and moon star. Find the teleport gate and talk with NPC to select the map you want enter in the event scene at the event time. Completed can get abundant bonus. Attention! Time is limited. And the secret gate will close after opened.